This apartment hotel offers business and leisure travellers a stay characterised by privacy, personalised attention and services focused on the individual needs of each guest. 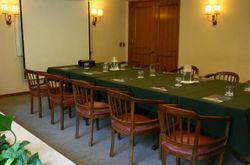 In addition to a lobby area with 24-hour reception and check-out services, a hotel safe, cloakroom and lift access, this establishment features a breakfast room and WLAN Internet access, as well as room and laundry services. The establishment has 20 spacious apartments, and further facilities available to guests include a cafeteria and a business centre. 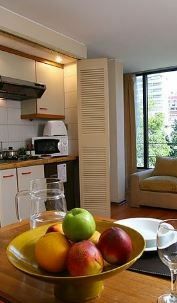 If you are looking for accommodation in Santiago De Chile, we can recommend you to check Edificio Presidente Santiago. We stayed there and had a very pleasant time.